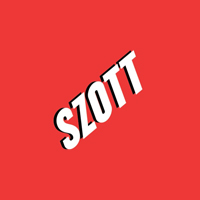 New Dodge Challenger in Highland | Szott M59 Dodge Ram " "
The new Dodge Challenger is a classic American muscle car that's sure to turn heads on the White Lake streets. At Szott M59 Dodge Ram we have a wide selection of Challenger models for sale in a variety of colors and configurations. Explore our inventory today before taking this thrilling vehicle for a test drive. The most impressive quality of the Challenger is its heart-pounding performance. With a variety of engine options available, you can customize your Challenger to suit your own unique driving needs on the Walled Lake roads. Once you've found a Dodge Challenger for sale in our inventory that catches your eye, contact us or make the trip to our Highland showroom. Our finance team will be happy to help you choose a lease or loan option so you can race home in a new Challenger today!